At Porsche Fremont, we strongly believe that the tires are one of the most important parts of your Porsche. Porsche tires are designed to give drivers a smooth, comfortable, fuel efficient, and safe ride. However, when tires are misaligned or worn down, your Porsche will not be able to function at its optimal level. To ensure that your tires are in tip-top condition at all times, Porsche Fremont is pleased to offer dependable tire repair services to our customers. Our well-trained service technicians understand what it takes to repair common tire damages that can hinder your safety and performance while driving. Read on to learn more about our tire center service offerings and how to determine whether your Porsche requires tire repair. The service technicians at Porsche Fremont encourage all Porsche drivers to take some time every few months to examine their tires. While examining your tires, you should look for worn-down treads, uneven wear, or any other element that doesn’t look quite right. In addition, you should pay attention to how your Porsche feels when you drive it. Skidding or other issues may be the result of a tire impairment. Once you come to the conclusion that your tires may need repair services and you take your vehicle to our service department, our service technicians will perform a thorough inspection to look for any damages or safety hazards. Some of the most common issues that require a repair or tire replacement include alloy wheel damage, abrasion and surface damage, and tread wear. 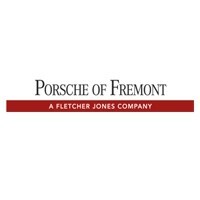 Regardless of the problem, the service technicians at Porsche Fremont can help. If you believe that your tires require a repair, schedule a tire consultation at Porsche Fremont today. We’re open Monday through Friday from 7 a.m. to 6 p.m. and Saturday from 8 a.m. to 3 p.m. Our tire center specializes in tire rotations, wheel alignments, tire balancing, tire inspections, tire repairs, tire inflation, and just about everything related to the tires on your Porsche. We look forward to providing you with the efficient service you deserve!